Whether you’re looking to expand your existing restaurant seating outdoors, or update your dining furniture indoors, this extensive collection of chairs, tables and booths will satisfy your furniture cravings! With inviting colors and a variety of styles, paired with sturdy frames and clean lines, this furniture is both functional and appealing. It doesn’t matter if you’re creating a vintage diner, an ultra modern restaurant, a quaint outdoor café or an intimate vibe with booth seating, this collection has it all! 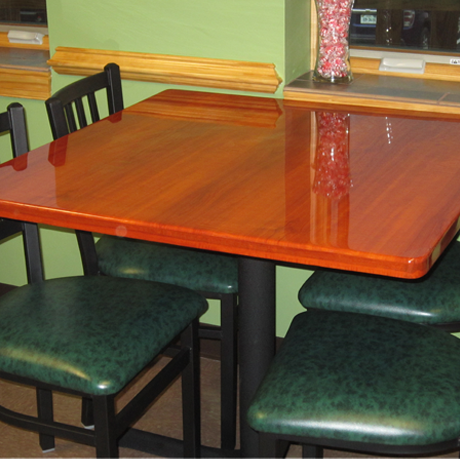 This commercial grade restaurant furniture is available in dining, counter, and bar heights in a wide variety of finishes. Choose from recycled plastic, metal frame, all-weather wicker, resin, and many others. Plymold booths have long been an industry standard in the restaurant biz. These top quality booths include wood, laminate and upholstered in single, double, wall mount and island options. 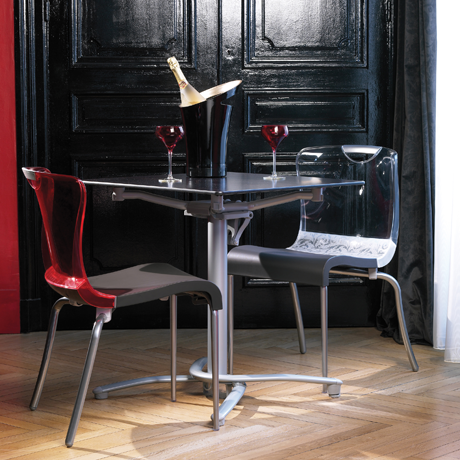 No matter what your needs, this collection of tables,table bases, seating and booths will meet - and exceed - them! 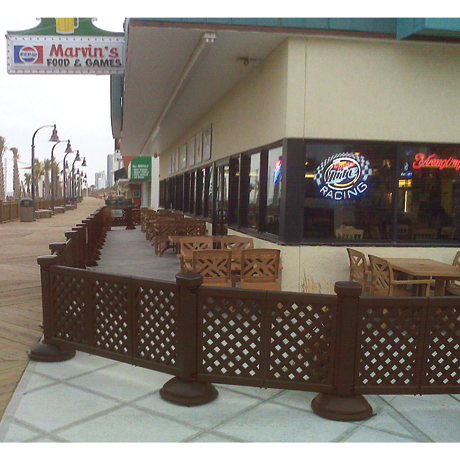 Complete your perfect look by adding patio fencing or a vivid umbrella! Call our knowledgeable account managers and let them help you customize your restaurant or café!